Attention: Mr Marcel Golding (CEO of e.TV), Ms Zandile Tshabalala (Chairperson of the SABC) and Mr Tian Olivier (Acting CEO of the SABC). As the leaders of our free to air channel and public broadcaster you have a duty to screen content in the public interest. What happened in Marikana was South Africa's first post-Apartheid massacre and you have a responsibility to ensure the stories of Marikana miners are told. On the 16th August South Africans will gather on the anniversary of this national tragedy. 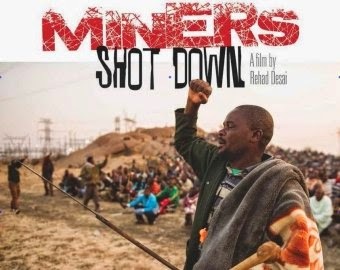 We the undersigned demand that you schedule a screening of Miners Shot Down so that all South Africans have the opportunity to reflect on the lives lost, families impacted and together we as a nation can work to ensure this never happens again.